Congratulations to both our quicksticks teams, who played brilliant hockey, during the recent School Games Finals. With ten schools competing in both the Lion and Tiger’s pools, everyone knew they would be playing in very competitive games during the competition. Right from the outset, our teams knew it was going to be tough and it was! Finishing third in their pool, Cirencester Reds eventually made it through to the third/fourth play offs. The team played so well however sadly a couple of unlucky decisions saw the team draw two of their games instead of win them! Referees decision! They eventually finished the tournament in a very respectable seventh place winning their final game 5 – 1! Cirencester Whites made it through to the cup knockout winning three of their first four games and finished the tournament in a brilliant third place overall earning themselves well deserved bronze medals. 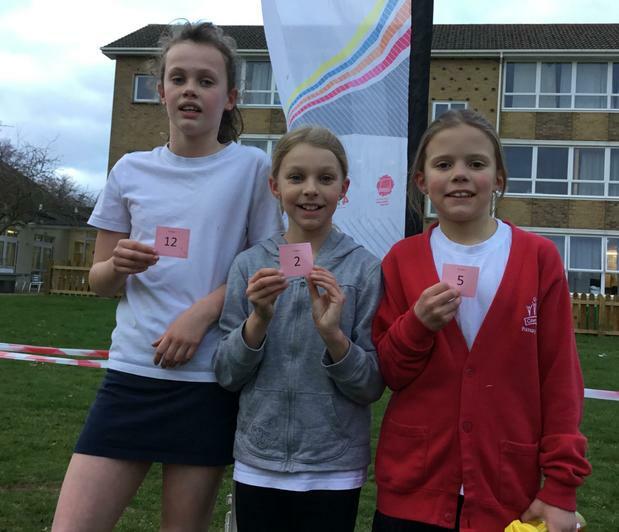 This is the first time Cirencester Primary has achieved a medal at The Gloucestershire School Games – Quicksticks. A truly fantastic result. Over the years, the level of quicksticks played at primary level has improved massively and to achieve these two results is a reflection of all the hard work and determination displayed by all the players. Well done to everyone for such a great day. Team red - The Winners! Congratulations to our Red team for winning the CPS Girls’ Football Tournament and trophy and allowing Cirencester Primary to keep it in their trophy cabinet for the year. It was an amazing afternoon of football and both Cirencester teams played brilliantly, displaying self-belief from the outset. Sadly, our white team encountered a strong Ashton Keynes team during their first match and narrowly lost one nil. However not deterred, they continued the afternoon with determination drawing and winning the rest of their games and finishing third in their pool and fifth overall. Our Red team began slowly but soon found their form and won every single match they played. Reaching the finals in good form, goalkeeper changed and Frankie in attack all turned out to be a winning recipe and they WON! This is a great result for the girls who have had a successful year of football equalling their Kingshill School win earlier in the school year. Thank you again to Mrs Jones for supporting and managing both teams during a busy afternoon. The we won and had a brilliant time photo! On 26th March, twenty-four children from China and Ghana Classes spent an enjoyable afternoon at Kingshill School displaying their handball skills. It was a great way to finish a successful term of handball and use skills learned and practised in PE during a competitive tournament. The afternoon was spent with two keen teams from Ann Edwards Primary who certainly provided extra challenges for all four Cirencester Primary teams. Even though it was primarily a fun afternoon, our orange team left very happy knowing that they won the entire event! Congratulations to every team that took part and to Kingshill School for laying on another successful afternoon of sports. 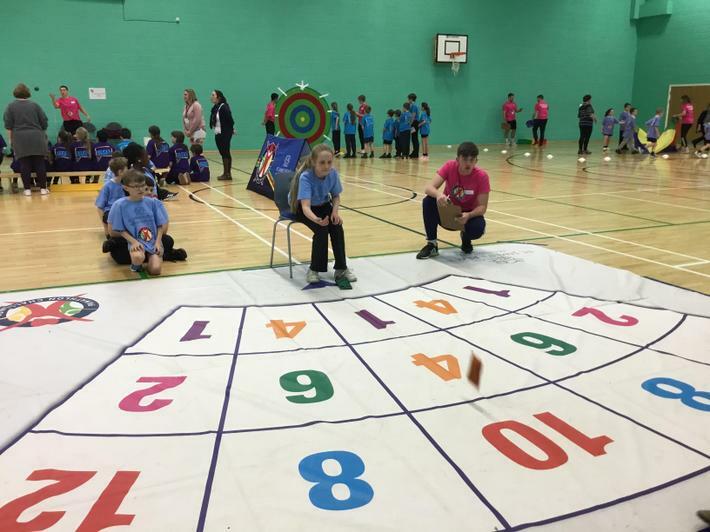 Thank you to the ten children from Ghana and India Classes that represented Cirencester Primary in such a mature and sensible manner at Cirencester College’s Panathlon event on Friday 22nd March. It was a great opportunity to try different sports and strengthen team-building skills. 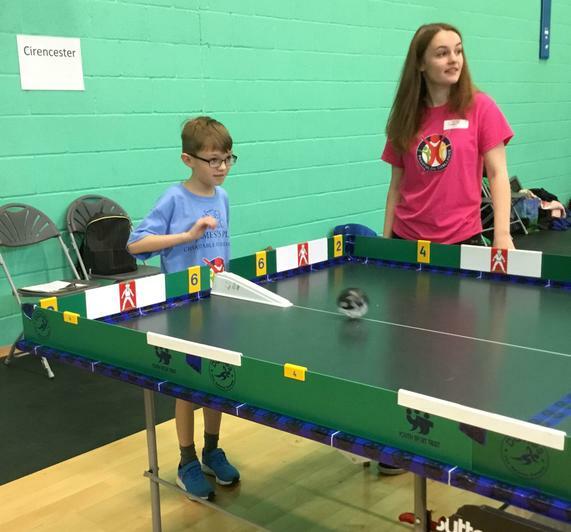 Panathlon Challenge is a series of skills stations based on inclusive sports such as Boccia, New Age Kurling, Football and Table Cricket. Other activities are aimed at developing key fundamentals such as running, jumping, throwing and target-based games. Mrs Jones was very impressed with the entire teams approach to the day and how much effort they threw into every single activity they tried. Well done to the entire team for helping make the day so enjoyable and such a success. 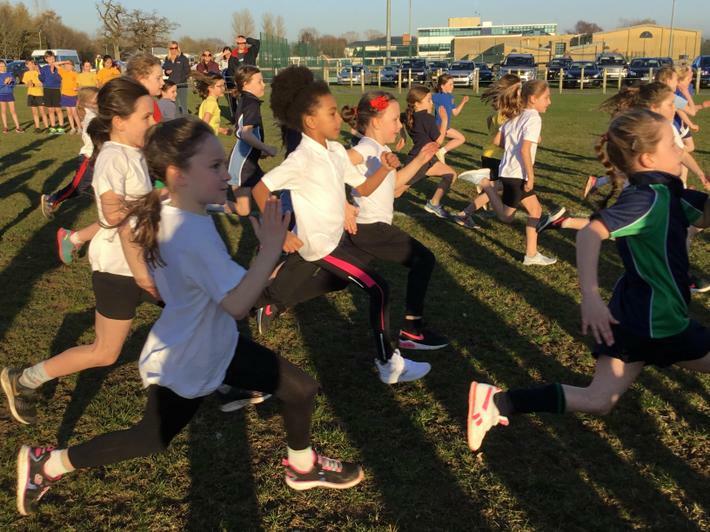 With roughly 300 children and 30 schools taking part in Kingshill Schools annual Tag Rugby Festival, everyone knew it was going to be a very busy day. Thirty children from year four took part in this amazing event and a big thanks needs to go to Mrs Pauling and her team of helpers for organising such a great day. Without any match play on a full sized pitch, our three teams started slowly but it did not take them long to warm up! By the end of the festival with discipline and teamwork sorted out all three teams started to display their running and ball handling skills in all their matches. It was a great day of tag rugby and thank you to Mrs Jones and Mr Harwood for supporting and coaching their teams. A great day of tag rugby. Bronze and Silver medal winners! CONGRATULATIONS to our Diamond and Silver Ferns Netball teams who played brilliantly at the recent High 5 Network Finals. Both teams played amazing netball and the results speak for themselves with our Diamond team finishing third and our Silver Ferns team coming second. Never has Cirencester Primary finished the Network Finals with such success and recognition needs to go to the hard work and determined attitude from every single player. A truly outstanding result and excellent news for Cirencester Primary. Well done to our entire gymnastics team who performed with confidence and pride at the KS1 Gymnastics Festival at Kingshill School on Wednesday 13th March. Mrs Jones commented that it was lovely to see the children take part and watch their self-confidence grow during the festival. Cirencester Primary’s six top gymnasts from years 5 and 6 participated in an extremely competitive Intermediate Gymnastics Competition at Cotswold Clubhouse, Bourton on the Water on Wednesday 6th March. With the girls designing their own floor routines entirely on their own, they performed them brilliantly with such confidence. A massive well done to Amber for coming in the top ten (8th place) out of all the competitors. Brilliant. One of the highlights of the afternoon had to be the sprung floor! I understand that the team, Mrs Reynolds and Mrs Smith had lots of fun on it! Well done to our year 6 netball team at the recent Silver Fearns Netball Competition at Kingshill School. Without much practise before hand, the team began the tournament with lots of self-belief and it certainly paid off. They won every single game bar their final one, drawing against a strong Watermoor team. It was excellent to see every player improve with every single game played. Seventeen year 4 children enjoyed an afternoon of team building and orienteering activities at Kingshill School. Working in groups of two and three, everyone worked around a carousel of different activities under the watchful eyes of Kingshill School’s young leaders. It was a great afternoon of collaborative work and solving a variety of different problems. at Kingshill School, Deer Park School and Farmors School. Everyone ran with determination and enjoyment and had a thoroughly good time. We had some excellent individual successes this year (see table below) that I am sure we can build on in 2020. 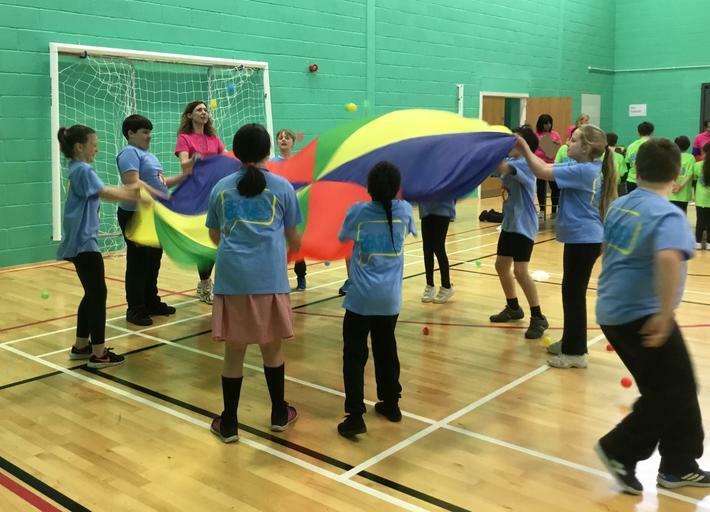 Wh What a great afternoon of handball, end ball, dodgeball and team building our year sixes had had at Cirencester Arena on 13th February 2019. TWO Silver Medals at The Level 2 Quicksticks Finals! What an afternoon of quicksticks at the Quicksticks Level 2 Finals held at Deer Park School on Monday 4th February. Four Cirencester Primary teams qualified for the tournament and played with determination and self-belief from the moment the first whistle sounded to the last. With Cirencester Red and White teams playing in a Lions Competition and Cirencester Blue and Green teams playing the Tigers Competition, all twenty-four children knew it would be a challenging afternoon of competitive quicksticks but were determined to play their hearts out. The results speak for themselves with Cirencester Reds and Greens finishing in second place and qualifying for the Level 3 County Finals in March and Cirencester Whites and Blues finishing a respectable fourth place in their pools. A fantastic afternoon of Primary School hockey. To finish off a very successful footballing year at Cirencester primary, it was a great chance for the CPS A-team to play in one last school football event. Without any team practise, the team performed brilliantly. Knowing that other schools would be hoping for a final chance to beat them, they arrived at The Arena feeling determined and wanting to win. Winning every single game in their pool, they reached the final and met up against a strong Chesterton team. Keeping to their same game plan they won 4 – 0 winning the entire festival and every game they played. This is another excellent result for our year 6 football team. They have achieved all their successes down to their own organisation, maturity, resilience and determination to win. With the Cricket World Cup beginning in May 2019, it was a perfect opportunity for ten budding cricketers from year 2 to show off their catching, throwing and batting skills. Representing Pakistan during the festival, every team took part in shuttle batting, wall catches, Frisbee throwing, hit the stumps, target batting and team catching. Everyone had a chance to practice their skills and then spent a frenzied two minutes scored on each activity. Thank you needs to go to, under the watchful eye of Helen Pauling, the very patient year 7 leaders at Kingshill School for their help and organisation throughout the event. Thank you. Well done to the great year twos for upholding our school values during the festival and having a brilliant time. Playing at Cirencester Arena’s Football Fun Festival was a perfect opportunity for the year 5 football team to try out their skills and practise their teamwork. The entire team played well especially as they were competing against strong competition from seven other schools. Thank you to every player for taking part. Mention needs to go to Harley for his amazing goal assisted by his glasses – ouch! 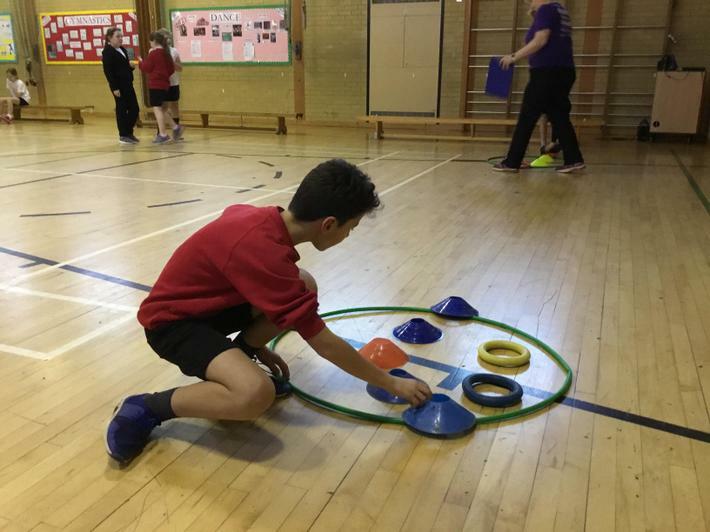 What a fantastic afternoon our year 5 multi skills team had with Helen Pauling at Kingshill School on Wednesday 16th January. The afternoon began with a series of map reading tasks followed by team building exercises that everyone thoroughly enjoyed. Finally, to round off a very busy afternoon everyone was introduced to adapted boccia! Teams had to use boccia balls to knock a basketball out of a hoop. Mixed results but great fun! Well done to the entire team. Congratulations to both gymnastic teams for trying their absolute hardest during the recent Key Steps Gymnastics event at Deer Park School. With seven schools, fourteen teams and a very high standard of gymnastics the competition was tough. A big well-done goes to our Challenge team for winning an outstanding silver medal. This is amazing news and reflects how hard the children practised for the event. 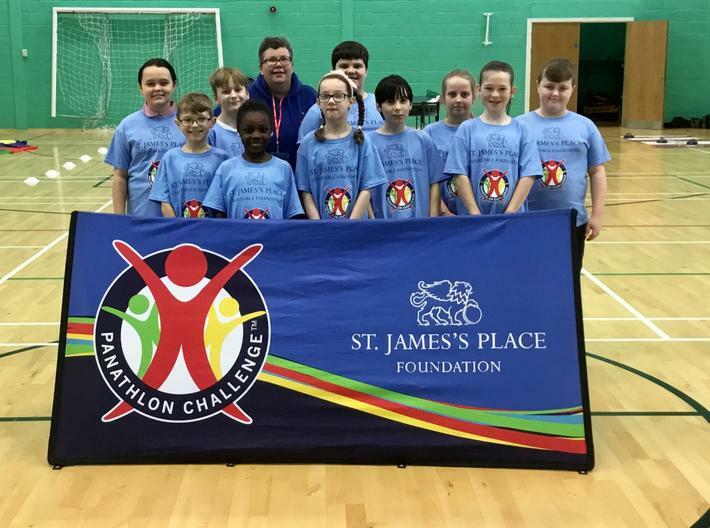 On Thursday 10th January, Cirencester Primarys combined year five and six Sports Hall Athletics team won a brilliant silver medal at the Level 2 Sports Hall Athletics Network Final at Cirencester College. With Fairford Primary winning a well-deserved gold medal it was all about who was going to come second! 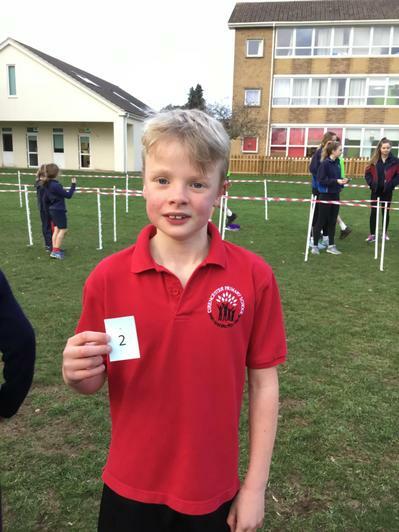 It was between Bourton-on-Water Primary and Cirencester Primary and we managed to beat them by the narrowest of margins – 4 points! What an amazing result and every single person in the team earned their silver medal. Having just come back off the Christmas holidays, it made the event all the tougher but no one gave up and showed incredible resilience and determination throughout the afternoon. Finally, well done to the entire team and for creating Cirencester Primary history! This is the first silver medal at a Level 2 Sports Hall Network Final. Who knows next year! For the second successive year, Cirencester Primary Schools winning Area Football team qualified for the 7-a-side County Finals at Oxstalls Park in Gloucester. A great achievement and following in the footsteps of the girls’ team the previous week! Knowing how high the standard of football was going to be at the tournament, the entire team felt apprehensive as they arrived at the new Gloucester 3G pitches. With the first match against Bristol, the team knew it would be tough match and managed to hold Bristol back by only letting in two goals (0 – 2). Feeling a little shocked, Cirencester came back fighting with a brilliant corner from Finley and a deserved win against Dursley, winning 1- 0. Knowing that the third game could qualify the team into the semi-finals, every player knew they would have to dig in deep. A draw with Cheltenham put them into the semi-finals only to meet, Gloucester, the top scoring team from the other pool. What a semi-final it was with Louie throwing himself at every ball and stopping them! Credit goes to the entire team, despite being tired, for such resilience and determination and managing a draw at 0 - 0. Needing to win the penalty shoot-out, Sam had a tough decision having to choose five players to put the team through to the final. Unfortunately, Cirencester lost on penalties allowing Gloucester the opportunity of reaching the final. To sum up, it was an amazing afternoon of football and the team played brilliantly, never giving up. To come 4th out of 252 Primary Schools in the county is an amazing achievement and well done to every single player. 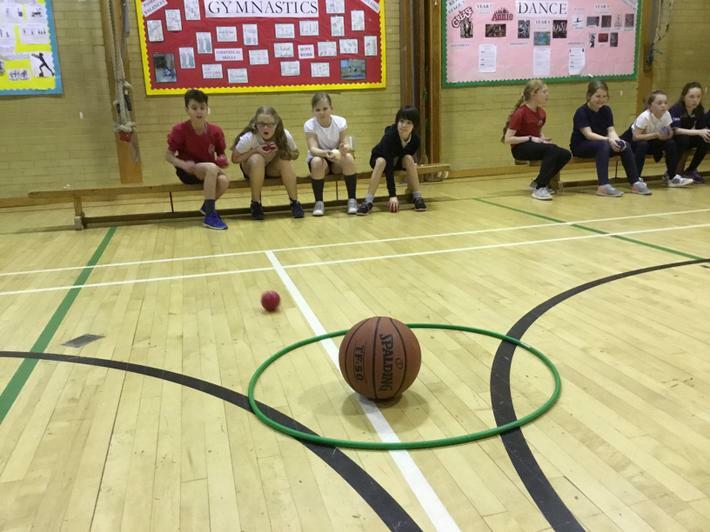 On Tuesday 11th December, eighteen very excited year six children represented Cirencester Primary in a fun Dodgeball Festival at Kingshill School. With hardly any previous dodgeball practise but loads of determination three teams played their hardest against six different teams throwing and dodging everything they possibly could! It was an amazing afternoon of laughter, lots of fun and even a little dodgeball strategy! Well done to every single player for a great afternoon of sport. Red Team at the beginning! Red team at the end - still smiling! Having successfully won the kingshill School Area Football Tournament in October, our girls’ team qualified for the County Finals at Oxstalls Park in Gloucester on Thursday 6th December. With Cirencester Primary qualifying in 2017 and a few girls knowing what to expect, having played the previous year, the entire team arrived at Oxtsall Park’s brand new 3G pitches feeling very excited. Everyone knew it was going to be a tough tournament with the opportunity to play football against challenging teams. The girls started well winning their first match 1 – 0 against Dursley but immediately knew it was going to be tougher than they though! They ended up winning one, drawing two and narrowly losing three of their matches apart from the last one when they met the overall winners! The entire team played 60 minutes of football with determination, passion and total self-belief and I am certain enjoyed every single minute. Well done to single player for trying their absolute hardest. It was a brilliant afternoon of skilfully played football. 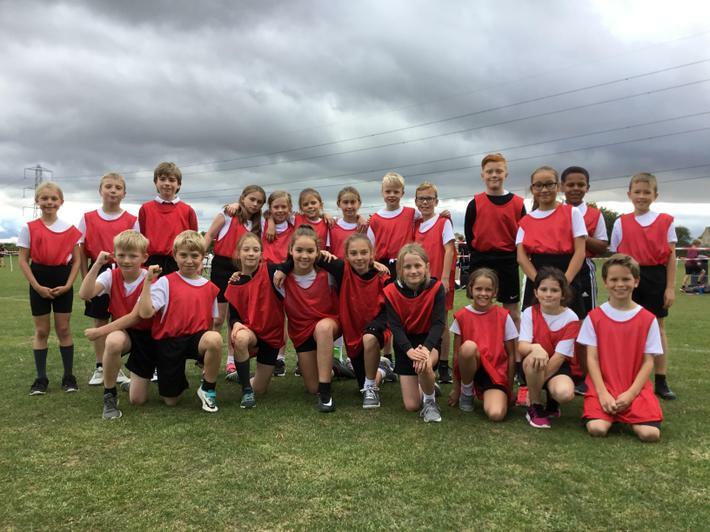 Cirencester Primary have successfully managed to repeat their Sports Hall Athletics performance from 2017 with another excellent win at Kingshill School. Fantastic news. Knowing that the year three and four team had achieved 1st place a couple of weeks earlier, spirits were high but competitive nerves showed. Both teams entered the competition with a determined attitude and a desire to win however, we soon found out that the competition was tough with Ashton Keynes fielding a strong team. Every single competitor had to dig in hard with each event entered. It worked! We had an entire mix of results with outstanding wins in our relay races, personal bests broken in jumping and throwing and even a little baton juggling and tunnel confusion in the relay races! Summing up it was a brilliant afternoon of competitive athletics with all thirty-six children trying their hardest whether they were winning or losing. Well done Cirencester Primary. 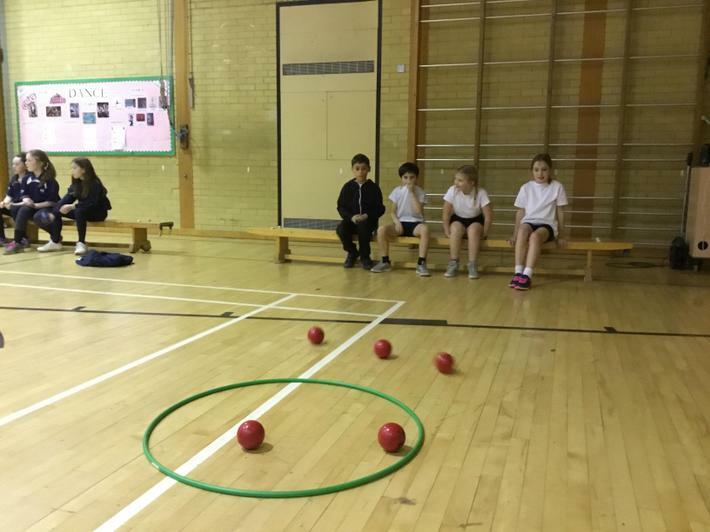 Cirencester Primary certainly have a few budding Kurling and Boccia stars emerging in year four! 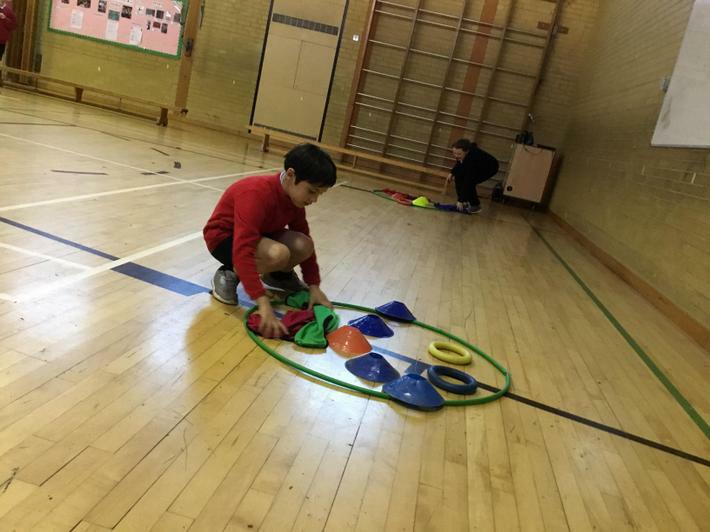 Emily, Cady, Scarlett, Megan, Agnius, Freddie, Bradley and George recently displayed their rolling skills during a brand new New Age Kurling Festival. 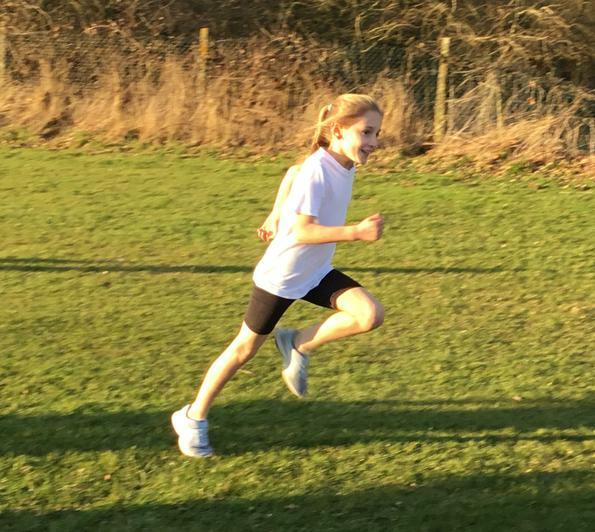 The event held at Kingshill School was on Thursday 22nd November, run by Mrs Pauling and her team of Sports Leaders and a brilliant success. With ten schools and sixteen teams entered, it was a busy and noisy afternoon but everyone thoroughly enjoyed themselves learning new skills as the afternoon progressed. Thank you and well done goes to both Cirencester Primary teams for displayed team spirit and sportsmanship and trying their hardest. Cirencester Primary are the six-a-side champions! The Red Team - Gold medalists! 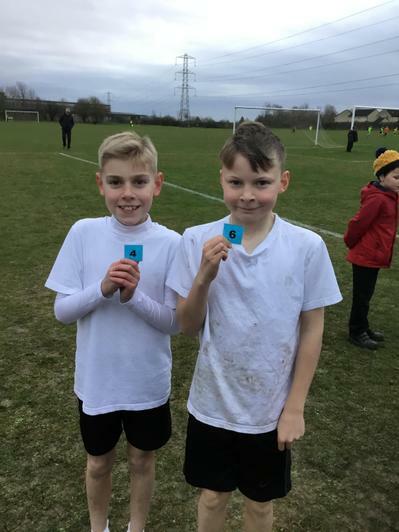 On an unusually warm Thursday afternoon on the 15th November a-six-a-side football competition took place at Cirencester Primary School hosted and organised by, Mr Archer, a teacher at the school. Eighteen enthusiastic teams took part from sixteen local schools in this annual event. Having won the competition in 2017, Cirencester Primary were eager to keep the trophy at the school for another year! The event was won by Cirencester Primary narrowly beating Ashton Keynes in a hard fought final winning one goal to nil. Congratulations has to go to Ashton Keynes, Chesterton and Avening Schools for all reaching the final play off stage of the tournament. When interviewed, Mrs Jones, CPS team coach, explained how impressed she was with the high standard of footballing skills displayed during the afternoon. The event was greatly enjoyed by everyone that took park and thanks needs to go Mrs Pauling and her Kingshill team of students, the year six scorers and every other member of staff that helped make this event possible and a success. Thank you. Finally, thanks has to go to both Cirencester Primary teams for being amazing and upholding their school values throughout the entire afternoon. 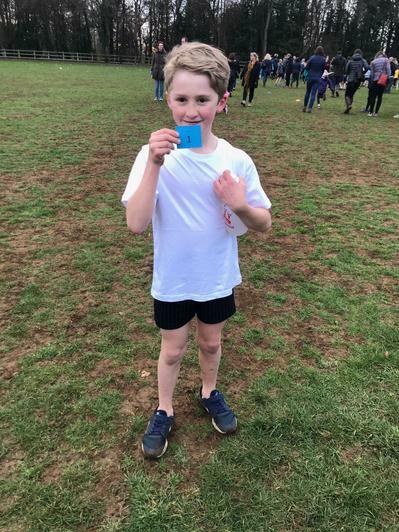 Thirty-six children from years three and four entered an Indoor Sports Hall Athletics event at Kingshill School on Tuesday 13th November. 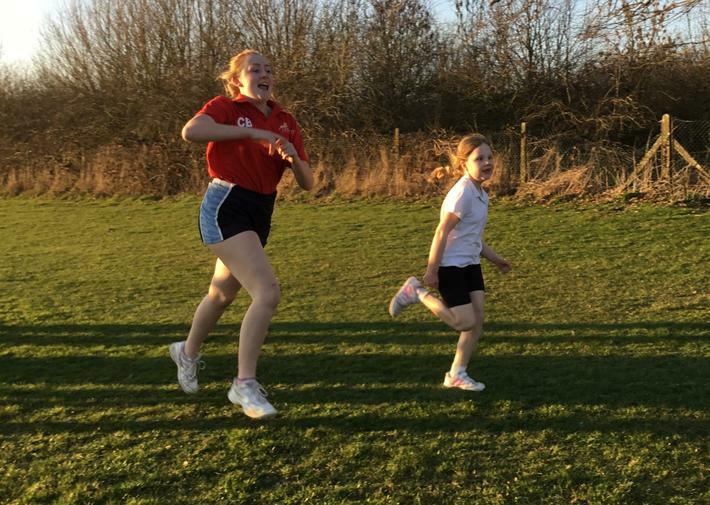 It was an amazing afternoon of competitive athletics testing children’s running, jumping and throwing abilities. With five different schools entered, six teams in total and knowing that we won the event last year everyone was a little nervous but also very excited. Every single competitor performed with total determination, ran their hearts out, jumped and threw as far as possible. Red team girls won every single team race they entered and the results reflected this with our red team winning the event and our white team coming a close second. Brilliant results. Thank you to every single child that took part. Relay race - the start! Cirencester entered two year 3/4 teams in a very competitive and hard fought contest at The Cirencester Football Arena on Thursdsay 1st November. Cirencester Reds, many of whom were playing their first competitive football, acquitted themselves well with improvements in every game. They were ably led by Harry K, who worked tirelessly despite his team facing some much larger and more experienced opposition. For the second year running, our White team had the misfortune of coming up against the eventual winners in their opening match, but nevertheless drew 1-1 in a match they dominated. They progressed to the third place play off, and led for most of a tough game. A last minute penalty save by Isaac ensured they finished in joint third place. A brilliant afternoon of football from all the players. 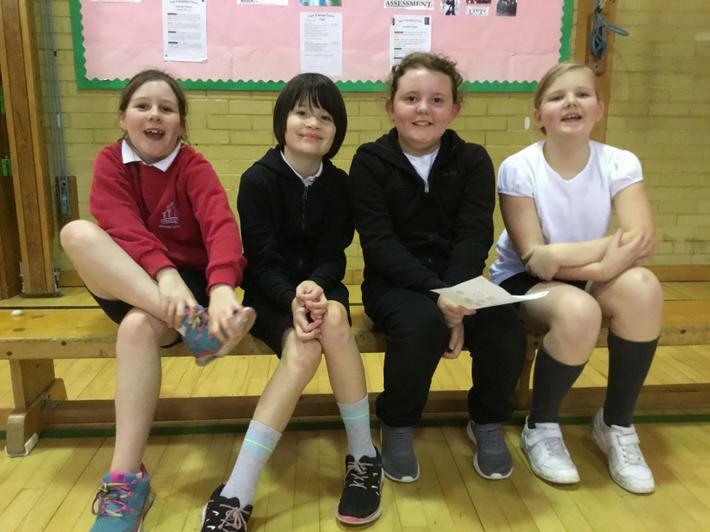 On Tuesday 16th October during a chilly afternoon some year 5 and year 6 pupils travelled to Kingshill School to play Netball at a Fun Festival against other local Primary Schools. Everyone had an amazing afternoon and enjoyed themselves. Everyone who went to the festival learnt something new. The two teams tried their hardest throughout all five games. Some of the games were successful. Other games weren’t! It was a lovely atmosphere to play in. The sportsmanship displayed from all the teams was impressive. Thankfully, there not many injuries! 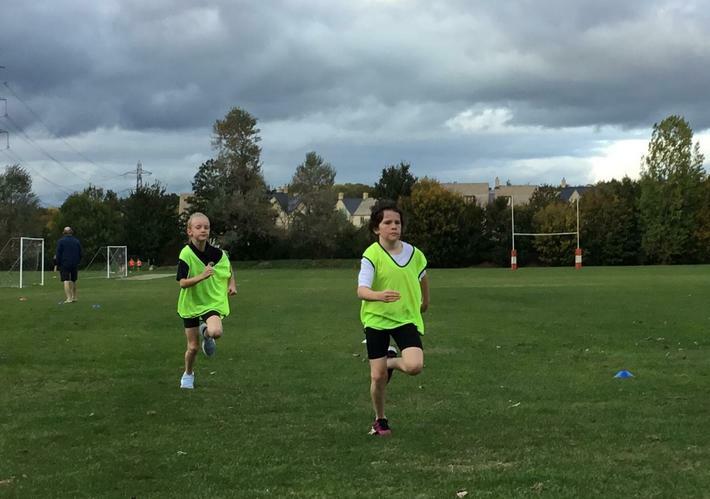 On a dull, wet afternoon, two girl’s football teams from Cirencester Primary shone brightly coming top of both their leagues. An amazing achievement. Having achieved a double gold during last year’s tournament, everyone had high expectations but were worried about the strong competition. Knowing that Mr Palmer (ex CPS) was bringing a team from St Lawrence Primary and our old nemesis Powell’s Primary would be at the tournament made us realise it would be a tough afternoon of football. Both teams played brilliantly displaying excellent teamwork, total self-belief and passion and it worked! Team red won three and drew three of their matches with team white winning five and drawing one of their matches. Another outstanding result for Cirencester Primary with our red team going through to County Finals in Gloucester. Thank you to all the girls for displaying Cirencester Primary’s values throughout the afternoon. With year six learning quicksticks (Primary School hockey) over the past six weeks, it was only right to enter a quicksticks tournament at Deer Park School. Having managed to successfully enter four teams, and, with difficulty, choose the right children to play the big day finally arrived. With every player, feeling both excited and full of trepidation we arrived at Deer Park. Wearing our Cirencester Primary kit with shirts tucked in and socks pulled up we were certainly a site to see stepping off the minibuses - very smart indeed! All four teams (Red, White, Blue and Green) performed brilliantly throughout the tournament competing in both an A League and Development League. Under the watchful eyes of assistant coaches: Mrs Jones, Mrs Smith and Mrs Shadbolt/Laight the teams flourished improving their skills with each match played. To simplify the results our teams plays in 24 matches winning 20 of them, drawing one and losing three! What an afternoon (please look at the table below for more information) of competitive quicksticks. Brilliant. All four teams have qualified to enter The Cotswold Quicksticks Final at Deer Park School on the 4th February 2019. Extra coaching/training sessions will be beginning after Christmas! Thank you to everyone that supported the event and, of course, the children for being amazing. 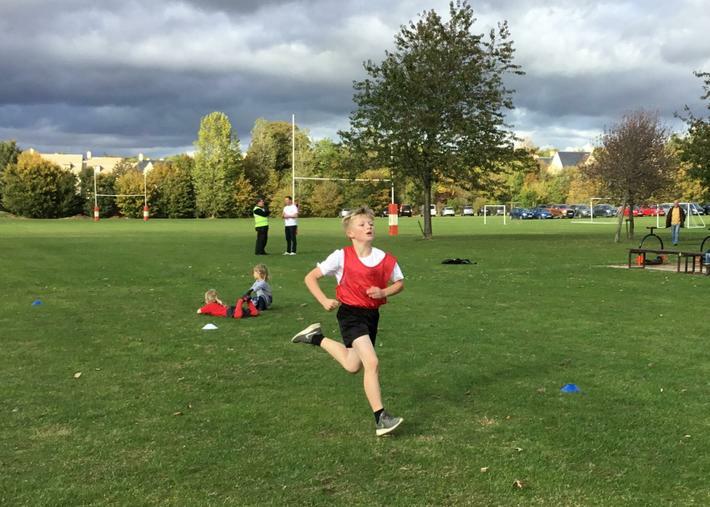 A massive thank you and well-done goes to ALL the children that entered and ran their hearts out at Kingshill School’s annual Cross Country event on Tuesday 2nd October 2018. 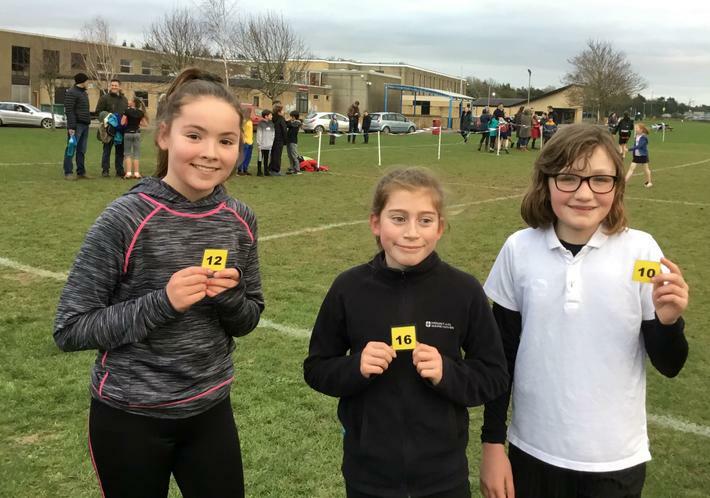 Teams of four boys and four girls from years four, five and six each ran approximately 1000m competing against children from eleven other Primary Schools in the local area. It is always a highly competitive race with incredibly strong runners from all the schools. Watching the children finish their legs of the relay, I could see that every single one of them gave one hundred percent effort trying their absolute hardest. Our results ranged from fourth to ninth place and with twelve schools taking part, this is excellent news. Our year five girls narrowly missed a well-earned bronze medal. Sadly, the team that came third decided to cut a big corner of the course therefore overtaking our final runner - maybe next year! Finally, thank you again to all the children for running your hardest and fastest. What a brilliant way to begin another year of competitive sports at Cirencester Primary by taking part in a very enjoyable afternoon of Tag Rugby at Kingshill School. Cirencester Primary entered two very keen year six teams with one team playing in a Confident Pool and the other in a Development Pool. Without much game practise but lots of energy and drive, both teams played skilful and determined Tag Rugby winning six out of their nine games (lost two and drew one!). It was a pleasure to see excellent teamwork with the teams improving with every game they played. We are now hoping there are going to be more matches allowing the children the chance to improve their game play even more. A wonderful afternoon of competitive sport. I am delighted to announce that Cirencester Primary has achieved the School Games Gold Mark Award for the 2017/18 academic year. Brilliant news! Cirencester Primary was one of five schools across the county nominated to win The Level 2 Primary Participation in the School Games 2017/18 award and I am so pleased to say we won it! This is an outstanding achievement for Cirencester Primary and recognises the skill, determination and hard work of all children involved in competitive games. Thank you needs to go to Mrs Jones and every other member of staff involved in helping Cirencester Primary win this award. Finally, I have to say a big thank you to all parents for supporting their children during these events whether it was transportation to events, tears if we lost or just cheering! Thank you so much.